Progress is really being made now. I've been part of the Smoky Mountain Animal Care Foundation for over a year and we're at the point of cement slab and walls going up!! 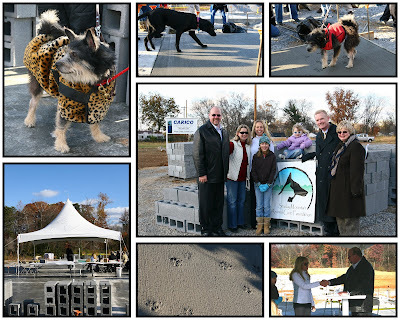 This is the site for the Blount County animal center. It will be an all access center with several really great and wonderful "out of the box" practices to make sure as many animals get homes as possible. I am proud to be their official photographer and a member of the Education/Outreach committee. For more information, please view their site at www.Smokymountainanimalcare.org.